Along with Family Promise of Greater Indianapolis, we are committed to helping homeless families in our community. During hosting week, we provide a safe and comfortable space for families of two (2) to eight (8), including breakfast, dinner, activities and recreation, and transportation to and from the Day Center where adults receive case management services to be able to secure meaningful employment and safe permanent housing. Volunteers are needed to spend the night, drive the van, and play with kids. You can make a difference in transforming families lives. Stop by McFarland Hall or email SecondIHN@gmail.com. The Northside Food Pantry at Second serves more than 550 families each month! Did you know... As many as ten people are needed to serve each shift the pantry is open? And... There are four shifts each week, plus more opportunities behind the scenes. Could you serve with your friends at one of those 40 shifts? Tuesday: 12 - 3:30 p.m.
Wednesday: 3:30 - 7 p.m.
Thursday: 9:30 a.m. - 12:30 p.m.
Saturday: 9:30 a.m. - 12:30 p.m.
Join us the first and third Wednesday of every month from 3:30-6:30 p.m. in the Northside Food Pantry. Please place donations in the shopping carts located at the back of the Atrium. Thank You! Opportunities to work with all age levels, nursery to 5th grade. We are currently seeking folks to play a part in the following areas of Children’s ministry. If you would like more information, please contact Pastor Dennis. Thank you for your prayerful consideration of these opportunities. Element Bearers – Carry in Bread and Cup during the Worship Procession at 11:00 a.m.
Nursery and Toddler Caregivers – Assist paid staff in our infant or toddler nurseries from 9:10–10:40 a.m. or 10:40–12:15 p.m.
2018-19 Sunday School Teachers and Shepherds – Nurture children in faith from August to May, 9:30–10:30 a.m. Minimum commitment is two (2) Sundays per month. See details below. VBS Volunteer – Opportunities range from classroom leader to snack assistant, craft assistant to greeter. Be a child at VBS again! Opportunities exist in church school classes during the 8:15, 9:30 and 11:00 services. We are currently recruiting volunteers for all age-levels - from nursery to 5th grade! To find out how you might share your gifts and live into your baptismal promise, please contact Rev. Caroline Dennis. Before and after our morning worship services, Hospitality Hosts warmly greet people and help new folks to find their way in our large facility. If you are interested in serving as a Hospitality Host, contact Katrina Getts at katrina.getts@comcast.net. Volunteers drive golf carts on Sunday morning to assist visitors and members in getting to the church building. Join our team at the Front Desk. It's a wonderful time of meeting new friends and greeting old ones. Volunteers are needed to sit at the front desk during the evenings and direct people to all of the various activities from 5:30 to 7:30 p.m.
You only need to commit to one shift a month. Please contact Karen Reynard at kreynard@secondchurch.org for more information. We need volunteers to sit at the front desk and answer phones on Saturday mornings from 9:00 a.m. to noon. Or, if Sunday mornings fit your schedule better, we have two shifts: 9:15 to 10:45 or 10:45 to 12:15 p.m. You only need to commit to one shift per month. Please contact Sherri McMonigle at smcmonigle@secondchurch.org for more information. Usher responsibilities typically include greeting attendees, passing out bulletins, collecting the offering, and otherwise assisting the congregation in case of emergency. People of all ages who are willing and able to usher during worship service are encouraged to volunteer. Before and after our morning worship services, Hospitality Hosts warmly greet people and help new folks to find their way in our large facility. If you are interested in serving as a Hospitality Host, contact Dr. Jim Riley at (317) 253-6461 or jriley@secondchurch.org. Families are encouraged to volunteer at the 11:00 a.m. service. Please contact Connie Price with any questions. Please contact Gretchen Brown with questions about volunteering at the 9:30 a.m. service. Contact: Gretchen Hall at (317) 578-4046 or Amy Johnston at (317) 334-9636. Warmer weather is on its way! As we transition our wardrobes from Winter to Spring, now is a great time to clear your closets of winter coats, gloves, hats, and clothing that no longer fits your family, both in size and in style. Help us get a head start for next winter as we prepare for the 2018 Christmas Benevolence campaign. Bring your gently used, outgrown items to the Donation Collection Center located at the back of the church, under the awning. Donations can be left any time the church building is open. Thank you in advance for your donations as we prepare to serve our neighbors in need. Did you know that many grocery stores, such as Kroger, offer some type of community rewards program? These programs donate a percentage of each of your purchases to your favorite local organization. It’s usually just a matter of logging in to your online account and choosing the organization you would like to support. Several organizations that are affiliated with our church participate in Kroger’s Community Rewards Program, including Greenbriar Elementary School and Westminster Neighborhood Services. Sign up today and help ensure that your shopping dollars help support not only your family, but our wider community. The fine arts team needs help taking down art and installing new exhibits. Volunteers may need to climb a step ladder. Otherwise, an hour or two of your time is all we need. Please sign up for times when you would be able to help. Please contact Jennifer Shivers at (317) 797-1200 with questions. Sign up below and Zach Fawbush will be in touch with further information. Someone will accompany you on your first drive. Staff sets up materials for Intermission (end of April – beginning of October on the Playground) and for Wintermission (mid-October to mid-April in McFarland Hall). Host family welcomes children and families, acts as resource to children and families in understanding family life at Second Church, connects children and families to one another, offers directions for activities provided, and gathers materials on cart and returns the cart to the Children’s Ministries office at the end of each Sunday session. If you and your family are interested in serving as hosts, contact Rev. Caroline Dennis at (317) 253-6461 or cdennis@secondchurch.org. 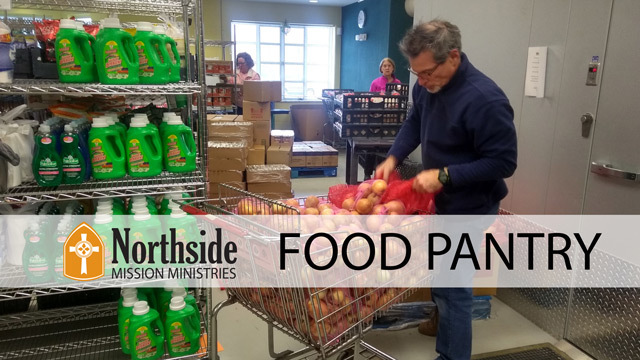 There are many opportunities to help out at Northside Mission Ministries. Click the volunteer now button to see the various ways you can get involved. Our volunteers mentor and tutor students, provide support for teachers, and help the PTO with events. For more information, contact Jan Millholland, Greenbriar liaison. An Inspirational Story: An anonymous person, who grew up in a family in need, had decided to give back to the community at Nora Elementary School. It felt so right to them, they have decided to do the same thing at Greenbriar Elementary!